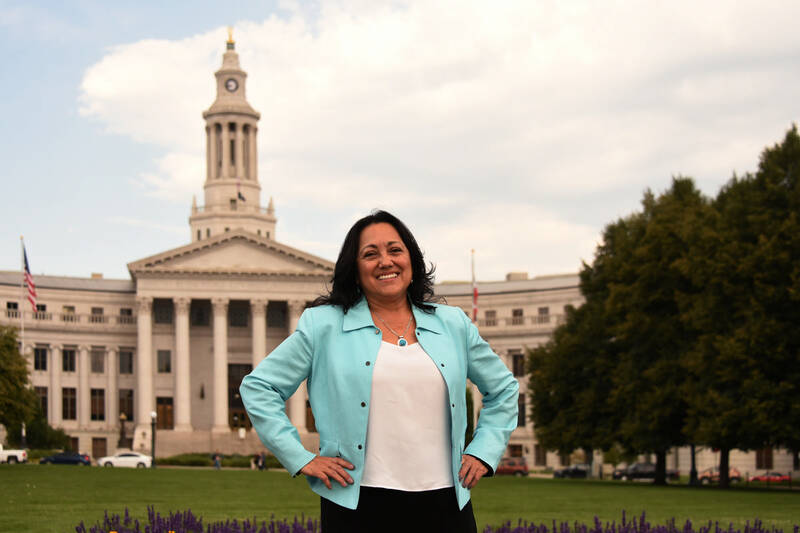 For Debbie Ortega, politics and daily life go hand-in-hand She got started in the local political game at the age of 17, before she could even legally vote. Now, she’s looking to be reelected for her third and final term as a City Council Member At-Large. Ortega took some time out of her busy schedule to outline her plans for the future and reflections on the past. How did you get started in politics, and what brought you to Denver? My interest in politics is from when I was on student council in middle school, when I first moved here from New Mexico. We moved here from a small town, because my stepdad had a construction business, and he was looking for more work. I’ve been in politics for a long time now. Once I get reelected, which I am confident I will be, I will be the only person to ever match Cathy Reynolds’ Denver City Council record. I was one of the original co-sponsors of our equal protective ordinance. What will you do to support LGBTQ folks, specifically trans folks, people of color, and low-income people? Since I’ve been a councilperson, I have historically had a staff person who was either gay or lesbian, but I never looked at them in that light; I hired them because they were the best for the job, and I will continue to do that. I was one of the original co-sponsors of our equal protection ordinance. I am on a board for projects that provide housing for people with AIDS, and a lot of my projects have been specific to serving LGBTQ folks. I participate in gay Pride; I’ve been on the board of Mile High Behavioral Health, and they have an LGBTQ program that works with youth. For the last four or five years, I have ridden with them on the float in the Pride parade. What do you think are some of the biggest issues facing Denver right now? Traffic congestion, affordable housing, and I think the lack of vary clear and focused vision around some of the growth that is happening. I know, as a city, we have been working on revisions to Blueprint Denver, so that will allow the opportunity to look into the future. It’s a plan for the next 20 years, similar to the plan that was adopted in 2003, and it deals with growth and traffic management and how to do it in a thoughtful way that doesn’t continue to exacerbate mobility issues. I think the issue of economic prosperity for some of our low-income communities is critically important, which is why our work on the I70 pipeline is so key. There is a program called worknow.org that the city is utilizing to put infrastructure in place for construction projects, so that should help as well. I’m not sure what that will look like yet, and right now I am focusing on this election, but I’m excite to see what the next chapter brings. When you finally do get to slow down and take time away from public service work, what will you do? I’m working on trying to get my dual citizenship from where my mother’s parents were born, a small town in Italy, because I want to travel throughout Europe and finally meet my mother’s family that was left behind when my grandma and grandpa moved, and do the same with my dad’s roots in Spain. I have a couple of grandkids in the Navy—one is getting ready to go into the Air Force, and there is one in Japan and one in Cuba—so I would love to go visit them. I’ll probably continue to be actively involved in one way or another in local government, and I have hobbies. I make jewelry and salsas; I enjoy bike riding on our trail systems, so I am going to try and stay really active. I’m not sure what that will look like yet, and right now I am focusing on this election, but I’m excited to see what the next chapter brings. I would love to have this one last term, and I’ve been very blessed by the citizens to be given this opportunity to serve the city. I do it with passion and compassion, and I’m just trying to be that voice of community. I think the voice of community in everything we do is critically important to the votes that I take in and the role that I play. Next ArticleApril Astrology: What’s in Your Stars?